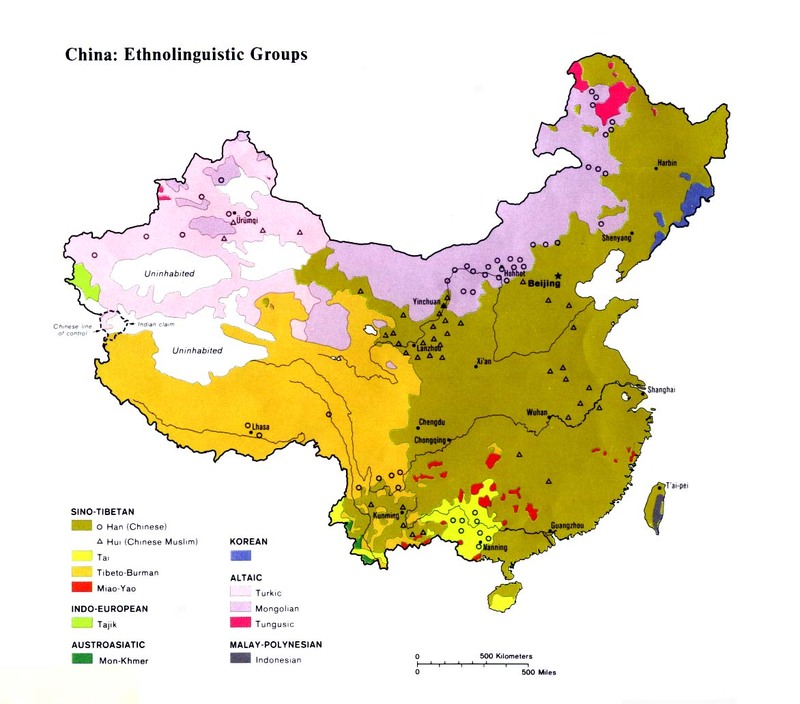 Although they have been officially counted as part of the Gelao nationality in China, the A'ou have their own ethnic identity and speak a language not mutually intelligible with any of the other Gelao varieties. The ancestors of the A'ou have lived in Guizhou Province since time immemorial. Jacob Lee explains, "Some 2,000 years ago, many tribes lived in this southwestern part of China, each with its own ruler and territory. The Gelao, known in ancient times as the Liao, were one of the largest tribes and they called their country the Yelang Kingdom. During the Han Dynasty (206 BC - AD 220), the imperial court sent armies to conquer the southwest, and then the king of Yelang submitted peacefully by the persuasion of the dispatched ambassadors. Subsequently, most of the tribal rulers were defeated, leaving only the king of Yelang still in control of his territory." Most A'ou are hardworking farmers who earn a meager income cultivating rice from the poor Guizhou soil. As a result, many youth have moved to the cities in recent years in search of work. 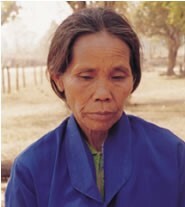 Most A'ou do not consider themselves religious, although they do honor their ancestors; many elderly people still make sacrifices to various spirits and gods. There are no known Christians among the A'ou today. Catholic workers focused on the Gelao in other parts of Guizhou in the late 1800s, but no mission work specifically among the A'ou has ever been recorded. With a small population and living in a remote location, groups like the A'ou are often overlooked when Christian ministries plan their evangelism and church planting strategies. View A'ou in all countries. 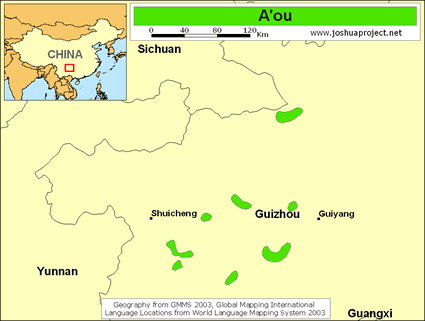 Location in Country: With a population of approximately 2,000 speakers, the A'ou ethnic group inhabits three counties in the north central part of Guizhou Province in southern China. They are concentrated in the Longjiazhai District of Zhijin County; in the Shawo, Lannigou, and Xinkaitian districts of Qianxi County; and in and around the town of Pudi in Dafang County.